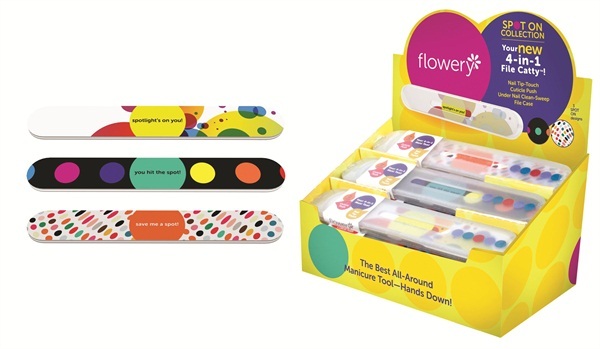 Flowery professional nail care launches the 4-in-1 Spot on File Catty collection. The product includes a fun new logo and a whimsical design maintaining a clean appearance. The File Catty works as a cuticle pusher, nail file, storage for nail files, and it can be used to quickly clear out any grime under nails. For more information, visit Flowery .